Congratulations to Millie and Vicky, Teddy and Henry, Harry and Olivia (RS Feva) and Sam and Jacob (Sprint 15) representing TBYC; for winning the 2014 Inter-Club CADET Team Race. They all showed consistency and perseverance through-out the race, starting well and battling around an exciting short course five times to take 1st, 3rd and 4th place. 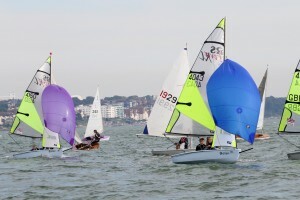 It was clear that our TBYC squad were on top form as they rounded the Windward Mark and hoisted their spinnakers. 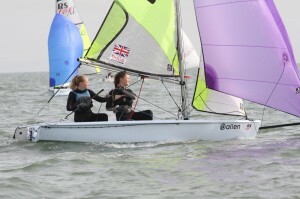 As the race continued it was becoming apparent that Essex YC had a rather talented pair, also in a RS Feva and they were maintaining the lead. However, on the final reach the ‘Little’s’ overtook them, securing first place. Only seconds behind were our other Fevas, taking the overall competition. What an achievement and an adventure, sailing to Leigh Sailing Club, being on the line at the start with 58 other boats, WINNING and finally sailing back around the pier for a second time; Well done to all! 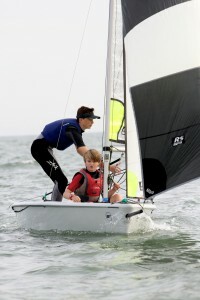 Picos and Fevas : Dinghy Park, Sail Training room etc. Fast Monos: Bosuns Hut, Race Box and surrounding veranda. Monos Clean and tidy. Paint race board. Some of the above jobs, can only be carried out once the tide has gone out. Please feel free to join in with other fleets. I will have Special Lunch menu 1 Course £5.50 2 Courses £7.50 3 Courses £9.50 as well as the normal specials menu and Regular menu. Also on Tuesdays there will be a Ladies that Lunch menu !!!!!!! 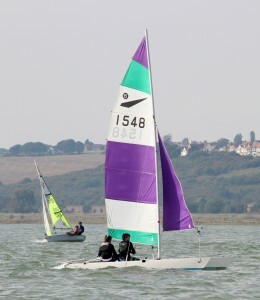 The Re-sail Race on 28 September is the Yantlet Trophy Race.